Landscape maintenance in Houston is available to residents throughout the city, adjacent suburbs, and all incorporations within the city limits. Because each of these neighborhoods varies in lot size, tree growth, and regulation requirements, service agreements are highly customized to provide service and support for all structural landscape elements as well as regular care for gardens, lawns, and trees. Special emphasis is given to the needs of particular lots, topographies within the city, and the dynamics of a particular landscaping design. To get a clear picture of why it is so important for Houston residents to invest in some kind of service agreement, we encourage you to read through our Case Studies. They provide excellent examples of the diversified structures and softscapes that are frequently covered under service agreements for landscape maintenance in Houston neighborhoods. Many lots here have smaller front yards characterized by above-average drainage. The challenge in the past has been to keep grass from dying on lots with water absorption problems. Solutions have included extensive soil aeration, diversification with drought resistant grass species, and custom irrigation systems. Residents of this neighborhood can have their service agreements customized to include special lawn care strategies and routine adjustment of lawn irrigation. Agreements can also include special tree services on lots with crowded tree growth and/or trees that threaten structures on the property. Landscape maintenance in Houston’s West University neighborhood must focus on two heavily regulated issues: tree health and lot drainage. West U has some of the strictest tree protection laws in the area. The neighborhood is also very vulnerable to flooding, so drainage is a major concern for homeowners of these typically smaller lots. Code violations can easily result when inexperienced landscapers attempt to install drains or irrigation systems too close to trees. Exterior Worlds differentiates itself with custom irrigation and drainage systems that are fully code compliant and sensitive to the continued vitality of all trees on the lot. Service agreements are written to pay close attention to these vital systems and to also provide special care for all trees on the property. Landscape maintenance in Houston’s Memorial Villages addresses a unique blend of needs that only a custom service agreement can accomodate. Lots in these townships are very large, and tree growth is very thick. 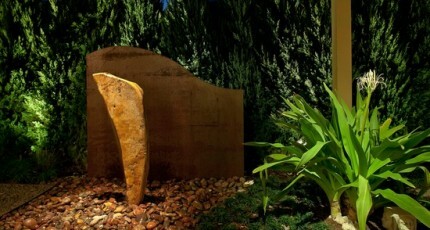 Trees that have been neglected have been known to suffer from limb breaks that resulted in property damage and injury. Some yards are so heavily shaded that evaporation of rainwater is impeded. Flooding and erosion have been historical problems for these areas, so drainage, land retention, and permitting are top priority. Many townships also have codes that regulate swimming pools and any type of digging that can expose underground infrastructures. In addition to a wide range of lawn, garden, and tree care services, agreements must maintain irrigation, drainage, fences, pools, and hardscapes in strict compliance with local ordinances. Special provisions are also taken to maintain lawns during the winter and to prevent erosion in backlots near bayous. 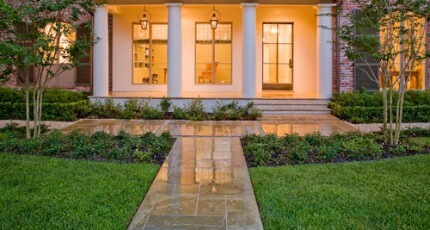 Due to the high number of custom homes and custom landscape designs, Landscape maintenance in Houston’s Bellaire Township calls a wide range of unique maintenance services that are individual to the property. As is the with neighboring West University, drainage and tree health are top priority. In addition to full lawn and garden care, we also see to it that drains are kept clean, and that all trees are properly fertilized, pruned, and treated with a variety of preservation strategies. 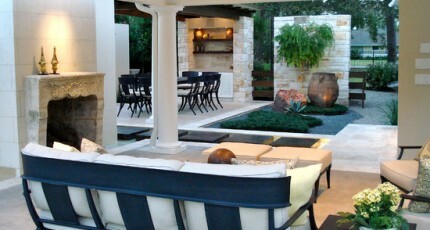 Landscape maintenance in this Houston world-class neighborhood must pay a balance of attention to form, function, and regulatory compliance. 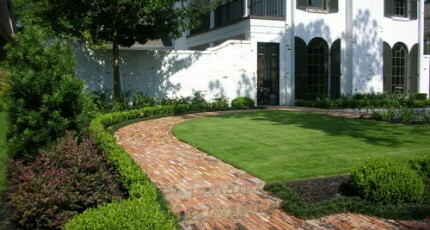 Most lawns and gardens require weekly care. 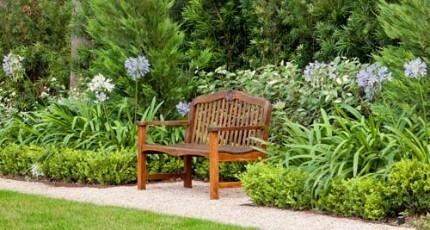 Pruning of trees and shrubs is performed as often as necessary for that particular species. 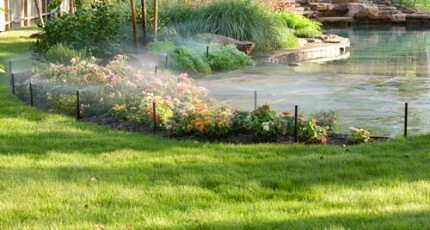 Irrigation and drainage systems must be installed and maintained in strict compliance with codes. 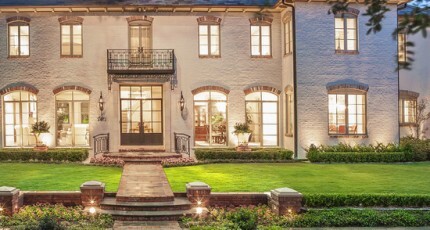 This area is best served by an organization like Exterior Worlds that is familiar with permitting, tree preservation, neighborhood association standards, and custom services intent on preserving an exceptional level of curb appeal. Keep in mind that all services described above are not limited to any specific neighborhood. Exterior Worlds clients can itemize as many services or as few services as they deem cost effective and appropriate to their needs. 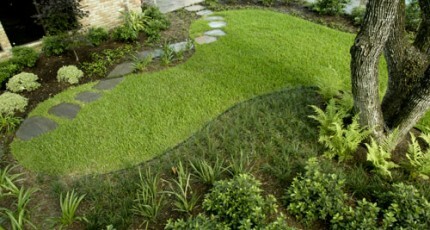 What is the easiest grass to plant and maintain in the Houston area? St. Augustine is the most common type used in Houston. Zoysia and 419 Tiff varieties can also be found. As long as good lawn maintenance practices are followed, these varieties do well in our climate. How often should we cut our grass? Turf typically needs mowing weekly through the summer and every other week in the winter months. How Do I Develop a Landscape Maintenance Program?